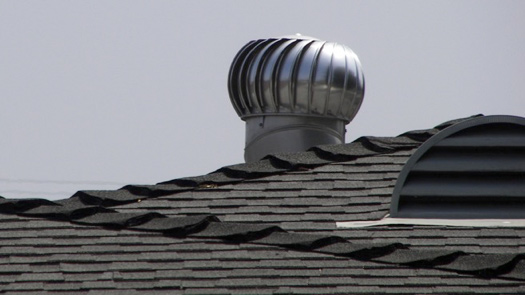 Do you have good roofing ventilation on your home? 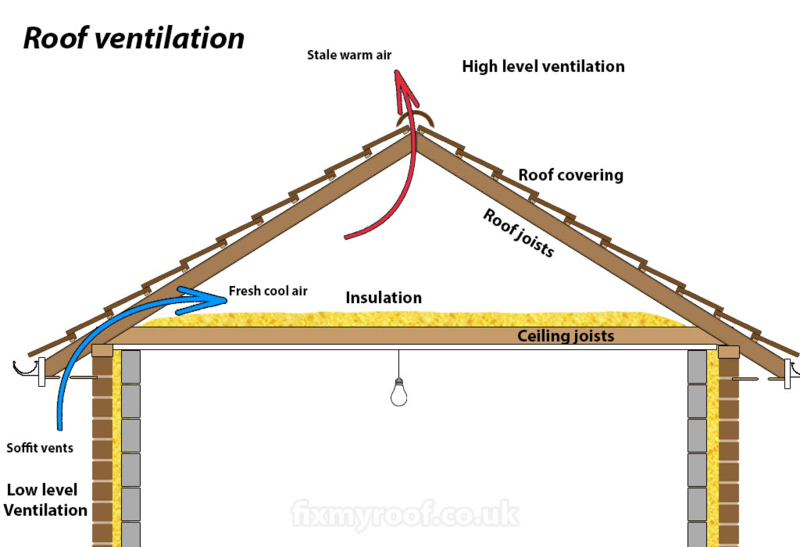 Have you even thought about roofing ventilation? Improper roofing ventilation can cause serious problems that you will want to manage through preventative measures, rather than having to deal with the repercussions and pay for costly repairs. There are several things that can cause your home and your property within to deteriorate and even cause health problems ranging from minor respiration issues to more serious ailments (especially for infants). Being proactive and checking your roof can benefit you in the long run, in addition to initiating a relationship with a knowledgeable local roofing company. Ice dams can cause a lot of damage; in the winter, snow melts on your roof due to heat emanating from your home and later freezes in a large, knotty clump at the edge of your roof. This causes a ‘dam effect’ as melting snow inevitably freezes at the edge of your roof and running water has nowhere to go. Backed up water can leak into your house, since the ice dams will not allow runoff. The leaking water can cause damage to your home and your irreplaceable possessions. Mold is another problem you may experience with improper roofing ventilation. In the winter, cold air in the attic mixes with warm air from cooking, showers, and the general heating your home. This produces condensation that turns into moisture, leading to mold growth that can spread through your home’s ventilation system. Not only can this cause wood in your home to rot and ruin your belongings, but it can also cause allergies and other health problems. Past a certain point, the damage done by mold can necessitate tearing down walls, replacing insulation and possibly evacuating your home until the problem has been sufficiently addressed and remedied. Moisture causes metal components on your roof to rust and deteriorate as well. Nails can rust and break off, which can lead to a loss of shingles. Excess moisture due to improper roofing ventilation and attic insulation can compromise your entire roof structure. For this reason, when you’re building or renovating your home, consider installing ridge vents, which allow for maximum airflow in any season. Roofing ventilation problems in winter can cause severe damage to your roof, home, possessions, and even your health. If you do not fix roofing ventilation problems when you notice them, you will probably end up needing to replace your whole roof. Replacing your roof isvery costly. So. what can you do if you face these problems with your roof ventilation? You should get a roofing quote from a small family run roofing business, in the vein of Toronto based Professional Roofers, to help you save money and, at the same time, sleep secureknowing you will get quality service in a timely fashion. Many small, quality focused businesses in this vein take an immense amount of pride intheir work, making it their personal mission that your roof remains mold free and sturdy for many years to come.